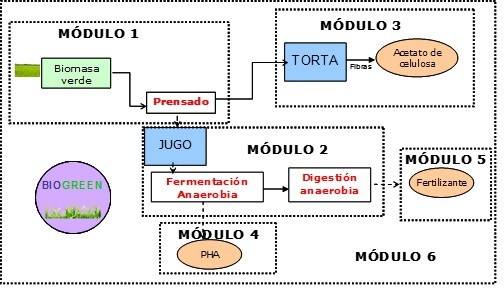 BioGREEN project aims the development of the first integrated green biorefinery in Spain. BIOGREEN is focused on the development of biorefinery concept using high performance, non-food crops to obtain high value added compounds such as bioplastics, acetate membranes and fertilizers. BIOGREEN project aspires to contribute to boost bioeconomy concept and the integration of circular economy model in rural areas improving their competitiveness.